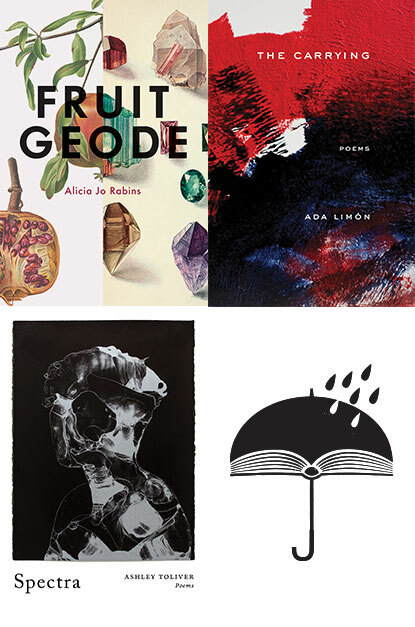 Intimate yet forceful, these three collections grapple with what it is to be in this world in a human body, specifically in a woman’s body—as the body ages, gives birth, changes. National Book Award and National Book Critics Circle Award finalist Ada Limón’s The Carrying explores those moments between: between youth and maturity, between pain and ecstasy, all adding up to the dizzying fullness of our too-short lives. In Fruit Geode, Alicia Jo Rabins traces the ritual mysteries of motherhood to examine what it means to be transformed. The debut collection from Ashley Toliver, Spectra, pushes at the limits of relationships and identity in intimate, innovative, poems that explore mothering, loss, and the self. Moderated by Mindy Nettifee, author of Open Your Mouth Like a Bell.